V. S. Mani And Co.
Manufacturers and exporters of leather goods, accessories & garments, etc. Leading manufacturers of all types of bags like black executive bag, file folders, black briefcase, travelling bag, jute and leather conference bag, black travelling bag, green matty bag, executive bag, wheeler bag etc. 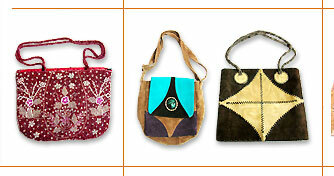 Mushkis Creations are manufacture and exports travel leather bags. Manufacturer and exporters of handicrafts items, jewellery, home furnishing items, garments, perfumes, furnitures, carpets, photo and mirror frames, planters, lamps and lamp shades, candle stands, wind chimes, christmas decoration items, napkin rings, etc. Manufacturer and exporter of leather travel bags. Deals in travel leather bags and luggageware. Manufacture and exporter of leather goods, leather bags, leather travel bags. Manufacturers and exporters of travel leather bags, etc. Manufacturers & exporters of leather goods, accessories & garments, etc. Itco Chem (india) Pvt., Ltd.
G. Pratap Kumar And Co. I. 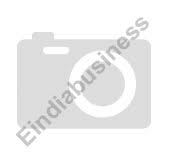 A. Leather India (p) Ltd.
Three Bags India Pvt., Ltd.
T Abdul Wahid And Co. I. G. T. Exports Ltd.
Shankar produce Co. Pvt. Ltd.
East Hides India Pvt., Ltd.
T Abdul Wahid Tanneries Ltd.